As the United States, Caribbean Islands and Latin America all struggle to mend wounds inflicted by a recent rash of hurricanes, earthquakes and wildfires, many people are searching for a way to help those affected by natural disasters. Some donate money to the Red Cross or send food and clothes to Goodwill, some pray and others, pick up a shovel, saw or hammer and go to work. Jim Shoaf of the Maricopa Food Pantry had a vision of doing just that – going to work. 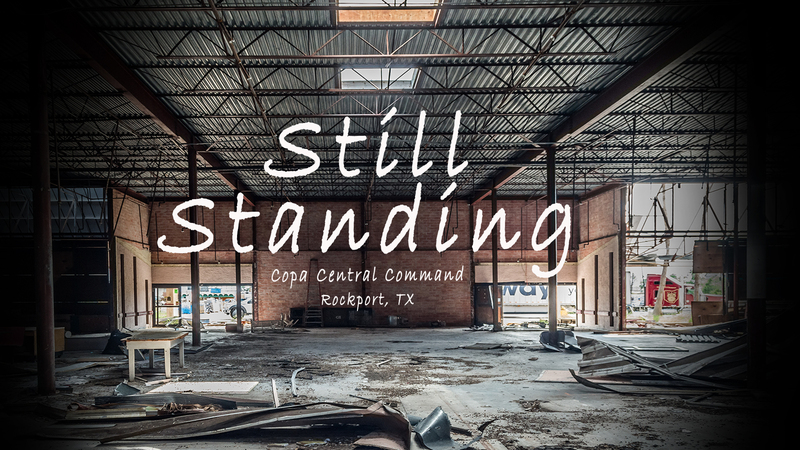 Organizing a group of volunteers calling themselves Copa Central Command, Shoaf saw what was happening in Texas after Hurricane Harvey and decided to do something. Upon seeing the news coverage of Houston and the devastating floods there, Shoaf turned his attention to Rockport, Texas, where Harvey’s eye had made landfall, an area he thought was receiving minimal attention. After an extensive donation drive and fundraiser, Copa Central Command left Maricopa on Sept. 26, headed for Rockport. The group spent ten days clearing debris, cutting downed-trees and manning a disaster relief center. The experience left a mark not just on the those who received Copa Central Command’s help, but also on the volunteers.